The opening shots of Uski Roti: the outstretched hand – a Bressonian idiom. This is the first in a series of posts on filmmaker Mani Kaul who passed away in 2011. Kaul is a filmmaker who has alluded me for a long time, largely because his films are so difficult to get hold of. However, three key works including Uski Roti, Duvidha and Nazar have been restored and released on DVD. Additionally, more of Kaul’s work has been cropping up on either YouTube or as Torrents. Since his death, more has been written on Kaul and hopefully we will get to see more of his work appearing slowly on DVD. One of the sharpest and most comprehensive overviews of Kaul’s work has come from cinephile writer Srikanth Srinivasan on his blog The Seventh Art. Mark Cousins also interviewed Kaul on Indian cinema for his epic voyage through film history. Of all the foremost Indian filmmakers to materialise from the Indian art cinema movement of the late 1960s director Mani Kaul is conceivably the one who endeavoured to modernise the language of Indian cinema, daringly shifting the focus from ideological study to cinematographic formalism. 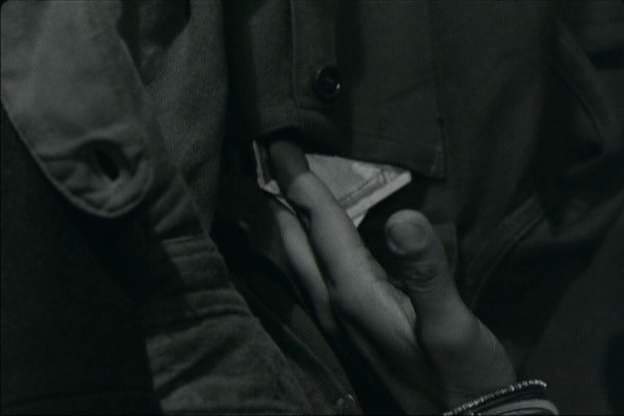 Although Robert Bresson also influenced Mrinal Sen it is Kaul’s work which demonstrates the sharpest realisation of Bressonian ideals such as introspection, ellipsis and delayed minimalism. 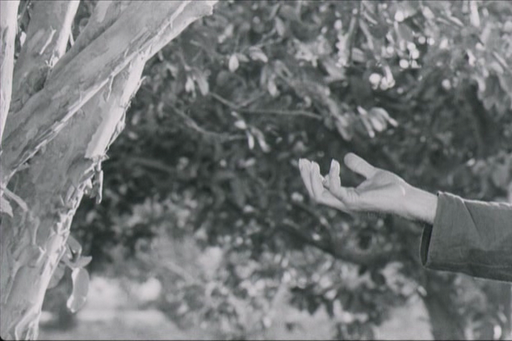 Uski Roti, released in 1970, was Kaul’s debut and deservedly ranks alongside Ray’s Pather Panchali and Ghatak’s Meghe Dhaka Tara as a work that offered something innovative to Indian cinema, in this case facilitating to open up a new space for temporal and spatial poetics. In terms of aesthetics, most striking is Kaul’s repeated emphasis and foregrounding of objects, landscapes, faces and most notably hands. In fact, Uski Roti is a photographic compendium of hands, all strikingly captured by the eloquent black and white camerawork of K. K. Mahajan. 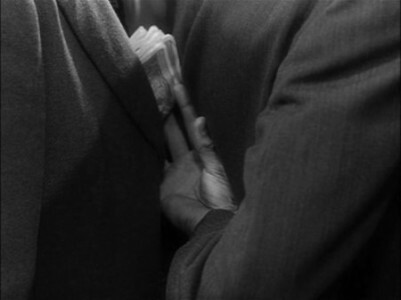 The emphasis on hands in many of Bresson’s films was a signature motif and Kaul employs the same technique. In Uski Roti, hands tend to enter the frame with a poise and mystery that transforms communication into something metaphysically graceful and vividly abstract. What is most iconoclastic about Uski Roti is the way Kaul wholly rejects the traditions of narrative cinema by not only dispensing with plot but also inventing a radical ‘organic’ space that elongates the passing of time. Unlike Ray, Sen and even Ghatak who firmly drew narrative ideas from various established genres to manufacture melodramatic situations, Kaul allows the chosen locations to nurture and create the narrative, however negligible it is. 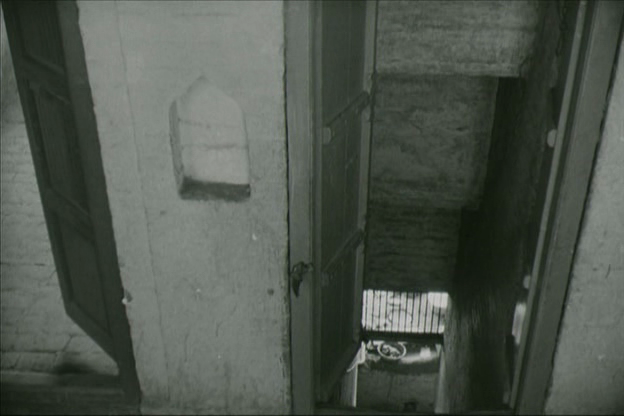 What follows are some quotes from Kaul, taken from various sources, on his filmmaking approach juxtaposed to screengrabs and key shots from Uski Roti. A discernible style emerges immediately. Our view of characters throughout are obscured by the positioning of people and objects, creating a cinematographic ellipsis within the frame itself. The foregrounding of objects such as a tree in this instance deconstructs traditional cinematic space. 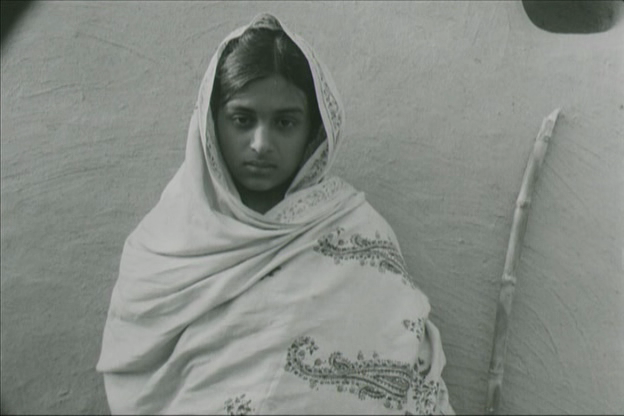 Channel Four will be screening Uski Roti on Sun 13 May as part of a season on Indian cinema. Whoa! Thanks for this post and for the plug, Omar. THis is too generous. My reading and writing has gone for a toss of late, and I've missed out on some great stuff here at Ellipsis. Hope I can get back into the groove soon. Cheers JAFB, always a pleasure to hear from you old friend – me too, I have been blogging but not as frequently and I haven't really been blog watching/reading as should be. Your overview of Mani Kaul is brilliant, the best thing out there on the web for sure – you need to write a book on him, you would do a splendid job. 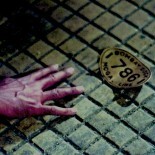 'Uski Roti' is a film that makes you think and reflect.. I quite enjoyed the languid pace and the extended frames of silence, though I needed two cups of tea as support to sit through the one hour and forty odd minutes.. 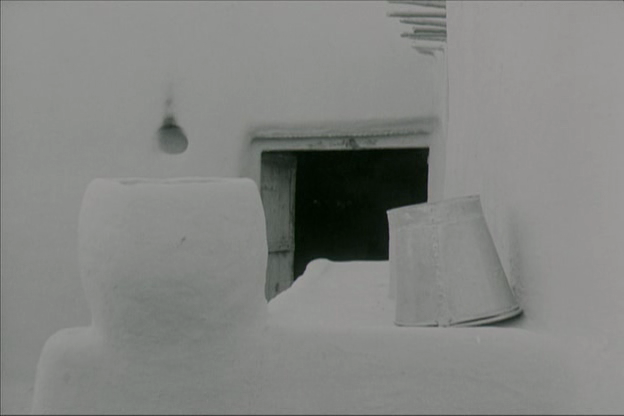 This entry was posted on April 26, 2012 by Omar Ahmed in Cinema of Prayoga, Indian CInema, Mani Kaul, Parallel Cinema, Robert Bresson, Space, Time.